With medical marijuana gaining increased support from the overall medical community, its use for a range of health conditions continues to grow every day. Toker Friendly of Spokane of Airway Heights, WA, is the area’s leading dispensary of both medicinal and recreational marijuana—here, they share with you how cannabis helps manage the symptoms of a number of health conditions. Spasticity is a condition of the muscles that hinders movement control, most commonly in the arms and legs. Cannabis has anti-tremor and anti-spasticity properties which help to relax the muscles. Patients living with Multiple Sclerosis, Parkinson's disease, ALS (Lou Gehrig’s Disease), and cerebral palsy find that medical marijuana wards off spasticity and helps them regain muscle control. Autoimmune disorders occur when the body mistakenly attacks itself. The result is often debilitating pain, which can be difficult to manage. 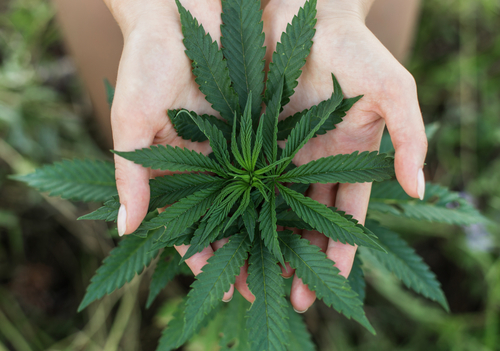 Medical marijuana is often used to ease some of the pain associated with autoimmune diseases, such as multiple sclerosis, lupus, fibromyalgia, and celiac disease. According to the American Cancer Society, some studies have shown that medical marijuana is an effective treatment for nausea, vomiting, and neuropathic pain from cancer chemotherapy treatments. There is also evidence that some cannabinoids, such as THC and CBD, can slow and sometimes kill certain types of cancer cells in lab studies. Although this is not an exhaustive list, it does represent how effective medical marijuana can be in managing a host of health conditions. If you want advice on the best cannabis strains to help manage your symptoms, stop by Toker Friendly. This marijuana dispensary offers a friendly and relaxed atmosphere and the largest selection of recreational and medical marijuana in the area. Visit their website or give them a call at (509) 244-8728 for more information.